The next step is to install and configure the components needed to use the WCF extensions. This topic lists these steps. Install the solution assemblies in the global assembly cache (GAC). Register all the components in the system.serviceModel section in the machine.config. Register all the components in the system.serviceModel section in the BTSNTSvc(64).exe.config. Configure part of the WCF extensions in one place and your component in another. 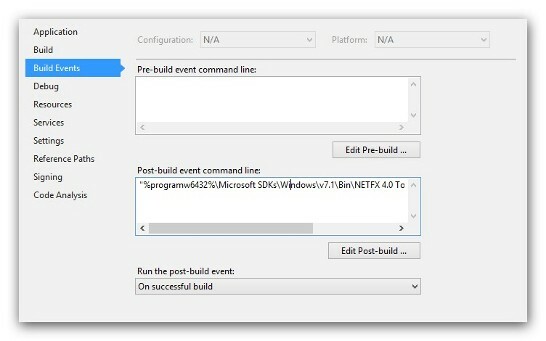 For example, configure the WCF extensions of the Microsoft.ServiceBus at the WCF-Custom adapter level. Configure your components in the machine.config. Whichever method you choose, you can use the WCFServiceBusExtensions.config and WCFSolutionExtensions.config files in the Setup folder to register the WCF extensions introduced by the Service Bus and those defined in this solution. 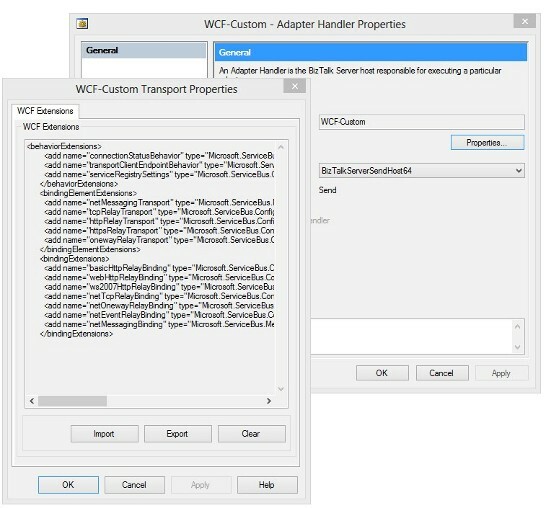 Or, use the WCFServiceBusAndSolutionExtensions.config file to configure them altogether. BizTalk Server 2010: Register the component in the GAC or copy the assembly into the BizTalk installation folder. This XML snippet is also available in the AssemblyBindingRedirect.xml file in the Setup folder.